Tucson officials are looking to raise the purchasing age for tobacco and e-cigarettes within the city limits as an overwhelming majority of smokers taking up the habit in or before high school. On Wednesday, the Tucson City Council will consider exploring options for raising the age to purchase tobacco products from 18 to 21 years of age. For several months, the plan has been in the works and the Pima County Health Department aroused Councilman Paul Durham’s interest with statistics about cigarette use among American youth. Smoker addiction number reached up to 95% who began smoking before they turned 21, according to the Preventing Tobacco Addiction Foundation. Durham said the main way young people get their tobacco is through friends. In 2014, the Pima County Health Department considered raising the purchase age to 21 on a county-wide basis and estimated that the enforcement costs for tobacco sales alone would be $250,000 to $300,000 annually, according to a memo prepared by City Manager Michael Ortega. While cigarette smoking is at an all-time low, e-cigarette use in middle and high schools is ramping up at alarming rates, in part because of how the products are marketed, said Judith Gordon, a professor with the University of Arizona College of Nursing who was recently awarded a grant from the National Institute of Health for her research on evidence-based tobacco prevention for fifth- and sixth-graders. The changes in laws regarding tobacco use over the years have had a direct effect on the decrease in smokers, Gordon said, adding that not only do changes in policy help reduce access to the products, but also create an environment in which the norm is to not use tobacco products. 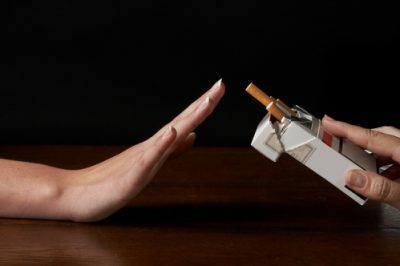 The Pima County Health Department has had a Tobacco Prevention Team in place for years, which participates in conversations about the right policy choices to help people quit smoking or keep them from starting in the first place, said Dr. Francisco Garcia, Pima County’s assistant county administrator for health services and its chief medical officer. Many jurisdictions have raised taxes, the cost of retail licenses for tobacco and e-cigarettes and the purchase age to reduce nicotine use, but it’s still unclear how effective these methods are. Even if the purchase age is raised within the city of Tucson, the policy won’t extend to unincorporated Pima County or the Indian reservations in the area, per Garcia. Addiction science has shown that if substances like nicotine can be kept away from young people until the ages of 21 to 25, the likelihood of addiction is much lower, Garcia said.